When considering the subject of retirement, one of the questions often asked by wealth accumulators and pre-retirees is 'how much is needed to fund a comfortable lifestyle in retirement' – not just initially, but over the longer term. Another common question is 'what does a comfortable lifestyle actually afford (look like)'. In our article, ‘Household expenditure: Finding surplus income’, we provided you with a breakdown of the figures regarding the average weekly household expenditure of Australians. This was done to highlight the importance of completing a budget and tracking your spending so that you can appropriately monitor and evaluate your personal financial statement (inflows and outflows) over time. Whilst these figures may have also shed some light on the budget breakdown of the average Australian household in comparison to your own, it’s important to highlight that these were averages drawn from a wide sample group consisting of wealth accumulators, pre-retirees and retirees. As such, in this article, we look at the Association of Superannuation Funds of Australia (ASFA) Retirement Standard for a more targeted view of retirees. This is not necessarily from a budgeting and tracking your spending point of view (although this is still important), but more in terms of understanding how certain things, such as your age, marital status and lifestyle, can affect the costs associated with funding your retirement and the subsequent budget breakdown that can follow this. Every quarter, ASFA releases an updated guide on what it may cost for singles and couples, depending on their age, to fund a modest or comfortable lifestyle in retirement. Inclusive within this guide are detailed budget breakdowns for each scenario. It’s important to note that within these figures certain assumptions are made, namely, a retiree owns their own home and that they are relatively healthy. Please see the table below for an adapted version of these detailed weekly budget breakdowns. We have tried to simplify it where possible to allow you to follow along with ease, as well as aid in highlighting the similarities and differences between the different scenarios. Unfortunately, due to the size of the table, if you are reading this on a mobile device, it may not display properly. Please follow this link to the Downloads section of our Financial Knowledge Centre for the detailed budget breakdowns. *Car (and associated costs) is substituted for taxis in the aged 85+ scenarios. ^Cleaning and other supplies is substituted for home care services in the aged 85+ scenarios. More money is spent on health services (i.e. chemist and co-payment/out-of-pocket expenses), transport (i.e. public transport) and other expenses (i.e. home care services). Less money is spent on transport (i.e. no longer holding a car) and leisure (i.e. alcohol and eating out, recreational activities, and domestic/international vacations). Although difficult to contemplate, these changes can often be a reflection of age starting to get the better of your health. During this stage in your life, it’s important to give thought towards the options and the services available, which can ultimately help you continue to lead a productive and enjoyable retirement. As with many things in life, there are certain unavoidable expenses that can frequently prove to be less of a financial burden on couples as opposed to singles. The simple rationale behind this is that these expenses can often be split (whether evenly or not) between two people as opposed to one. An example of this in terms of wealth accumulators may be saving for a deposit on a first home. Whereas in terms of retirees and the table above, examples can be housing costs (e.g. home and contents insurance, rates, home improvements, and repairs and maintenance) or other expenses (e.g. electricity and gas, and computers and accessories). Because of this, you may find that a single retiree has a much higher allocation of funds to these unavoidable expenses, and subsequently a lower allocation of funds to other things, such as leisure and other expenses. A modest lifestyle in retirement is considered better than the Age Pension, but still only able to afford basic activities. A comfortable lifestyle in retirement enables an older, healthy retiree to be involved in a broad range of leisure and recreational activities and to have a good standard of living. This is certainly illustrated in the table above, often with wide differences in the allocation of funds to some areas. This can partly be due to the fact that there are certain unavoidable expenses. So, when considering a retiree with a modest lifestyle, this can often mean either a partial or full reduction in the allocation of funds to areas, such as housing costs (i.e. home improvements), transport, health services, leisure and other expenses. It’s also important to note that the extent and appropriate management of your sources of income in retirement will play a major part in the funds that you have available to spend in your post-work years and the subsequent lifestyle that you are able to lead during this time. The ASFA Retirement Standard can be a useful guide in understanding how certain things, such as your age, marital status and lifestyle, can play an important part in influencing the costs associated with funding your retirement and the subsequent budget breakdown that can follow this. Despite this, it’s important to remember that everyone has their own individual financial situation, goals and objectives. 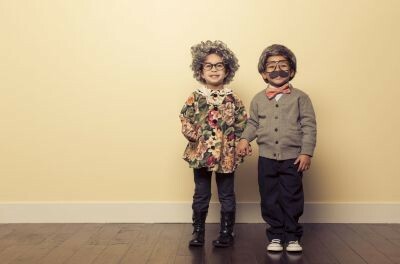 This means that you will undoubtedly have vastly different ideas and expectations around retirement in the post-work years when compared to the next person. For example, for some a ‘comfortable retirement’ might be an extra blanket in winter whilst for others it might be three months in a villa in Tuscany. Unavoidable expenses aside, what would you like to spend your money on in retirement? Are you currently on track to making this a reality for your post-work years? As always, if there is anything in this article that you would like to discuss, or if you would simply like to know how you are tracking towards your goals and objectives, then please do not hesitate to book a time to have a chat with us.